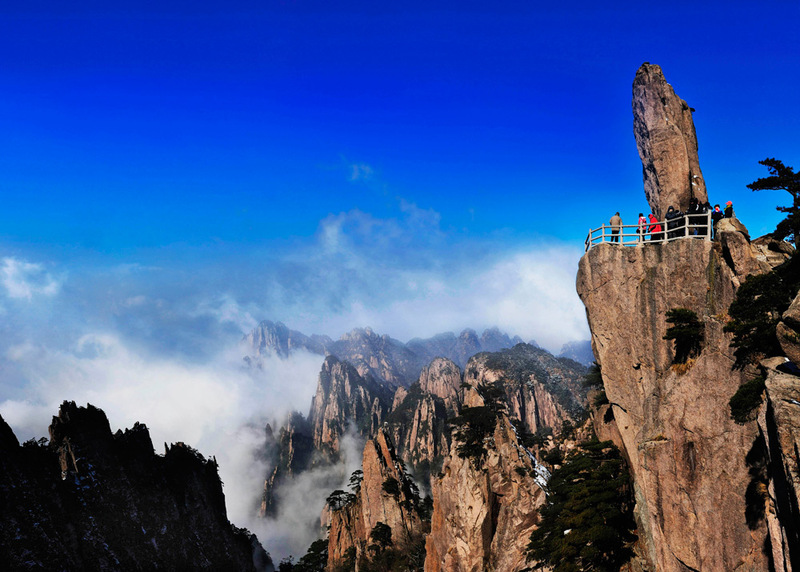 For those looking for a Yellow Mountain (Mount Huangshan) hiking tour, we take you to explore the off-the-beaten track in this beautiful mountain’s West Sea Grand Canyon, and other essential parts and peaks, and also enjoy the stunning sunrise and other natural wonders. 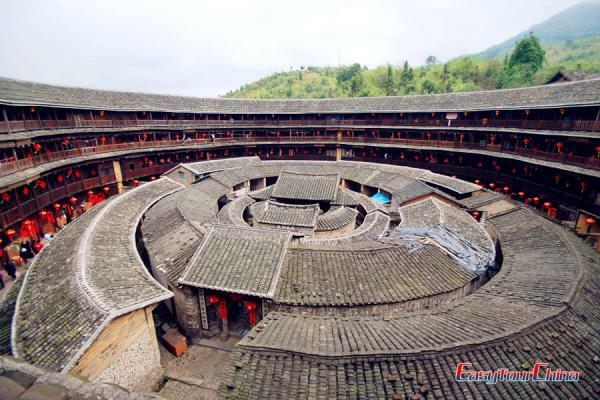 Upon your arrival in Huangshan City, meet your private guide and driver, and transfer to your hotel. Your guide will help you check-in. After breakfast, transfer to the foot of the Yellow Mountain and start your hiking from the Yungu Temple. Ascend the mountains via the Eastern Steps and you will trek on several natural peculiarly-shaped rocks, such as the Stone Tableand Bridge of Immortals. It takes about three hours’ hike to arrive at the White Goose Ridge, where we will have a rest and a buffet lunch in a hotel. Continue hiking to the Flying-over Rock and the Bright Top for another three hours. Then we enjoy the sunset at the Cloud-dispelling Pavilion, which is a highlight of Yellow Mountain. Stay overnight on Yellow Mountain. Get up in the early morning and admire at the sunrise at the Refreshing Terrace. Hike to the Cloud-dispelling Pavilion and then down to the West Sea Grand Canyon. The hiking trip covers the most essential parts — the 1st ring, 2nd ring, Button, Plunk Way, and Fairy-Walking Bridge, and takes approximately four hours to finish the circuit. Lunch will be arranged flexibly by your guide. 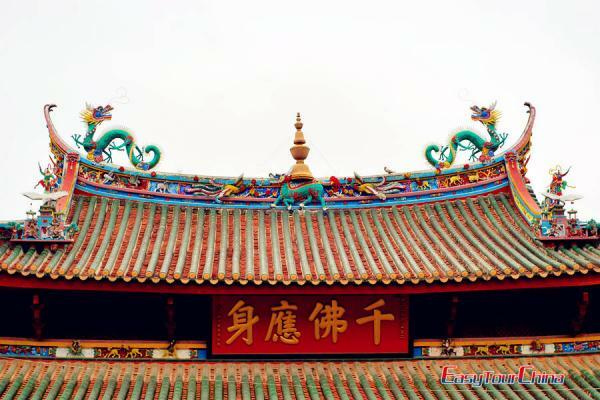 Watch the sunrise at the Bright Top, and then hike about one hour to the One Hundred Ladders, later to the Jade Screen Pavilion for the famous Greeting-guests Pine. We continually hike for about two hours to Celestial Capital Peak - the steepest peak of Yellow Mountains, and then down to the base at Lima Temple for another two hours hiking. 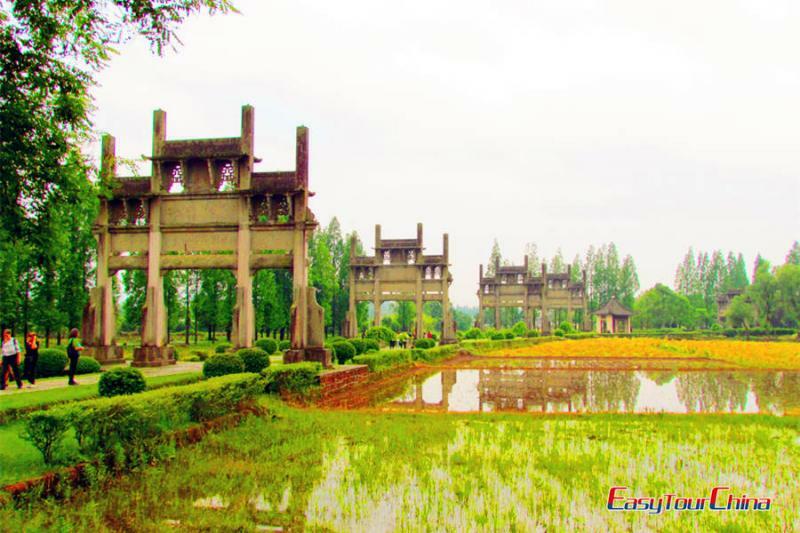 After the physically demanding adventure, drive back to downtown Tunxi and visit Ink stick Factory. It is unique in China now. 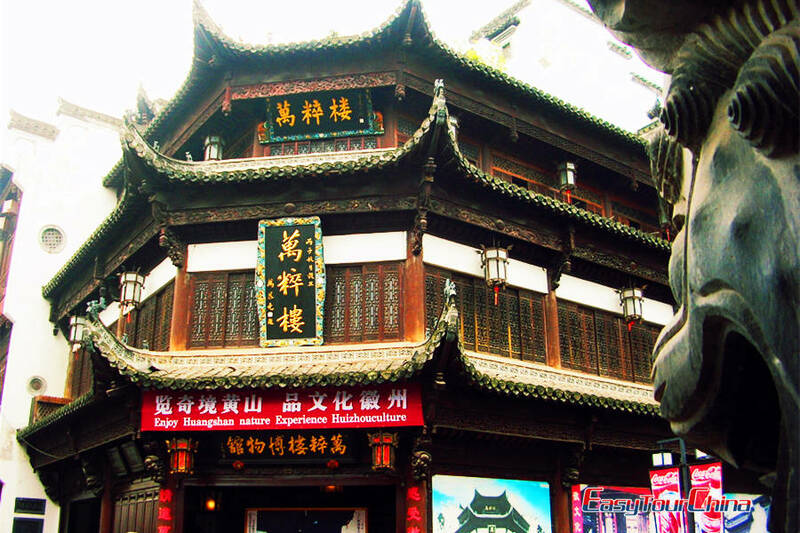 Visit the local culture Museum and Tunxi Old Street lined with antique shops selling Furniture, souvenirs and local products. Transfer to the airport, and fly to your next destination.